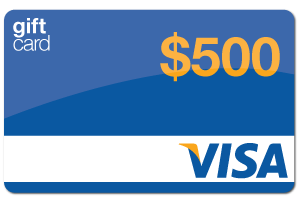 Channel your inner photographer for a chance to win a $500 Visa gift card or an iPod Nano (valued at $179)! We’re looking for an original, visually appealing, high-quality image that tells YOUR CycleLoan story. Want to increase your chances of making it to the finals in the Show Us Your CycleLoan Love Contest? Remind your friends and family to vote for your photo submission! The Fifth Annual “Show Us Your CycleLoan Love” Photo Contest is now closed! 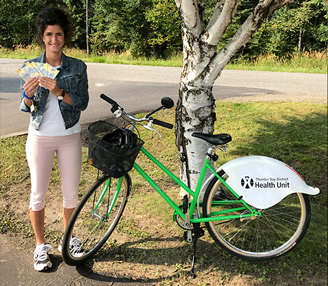 The "Show Us Your CycleLoan Love" photo contest* ended on August 31, 2017. We would like to thank everyone who participated in this year's contest. The photo submissions were absolutely great! 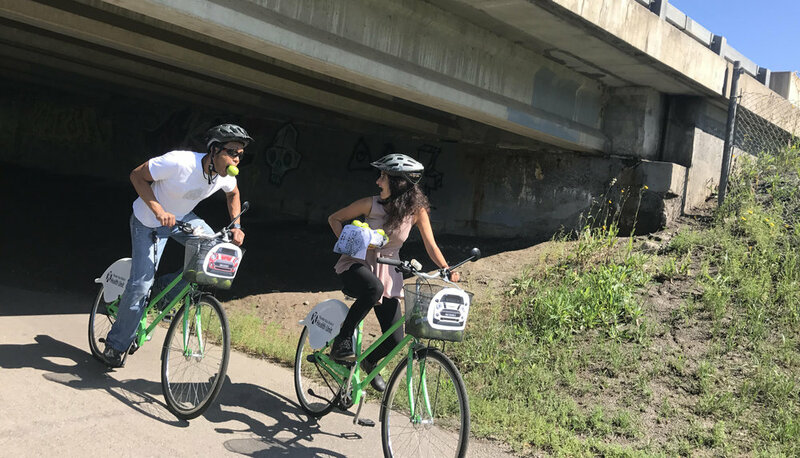 CycleLoan's photo contest celebrates the joy of cycling and active living! Participating workplaces/campuses were asked to take a ride around town from August 7 - 31, 2017 and capture all the dynamic things they get to do while travelling on a CycleLoan bicycle (take a ride, snap a picture and submit it for a chance to win). The grand prize was given out to the most creative photo. Five (5) finalist entries were selected based on an online, public voting process and were then scored by the judging panel for 'creativity' based on originality, visual impact, image quality, and narrative quality. All photo submissions, once approved, will be entered into a random draw for a chance to win the Secondary Prize. Note: that a maximum of 1 entry per contestant was considered by the judges. If multiple entries were submitted by a participant, only the entry with the highest amount of votes was eligible for the grand prize. 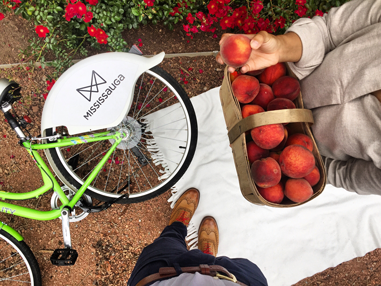 CAPTION: Bike rides, good friends, picnics in the park and farmer's market peaches. All the ingredients for a wonderful summer afternoon.